We are proud to announce outstanding keynotes for our plenary session. The keynotes will participate in our panel sessions Future Mobility in an Urban Environment, Future Work, Advanced Production, Digital Healthcare, and Entrepreneurship. We were able to acquire a selection of thought leading innovation managers, CEOs, scholars, politicians, and entrepreneurs in these fields. 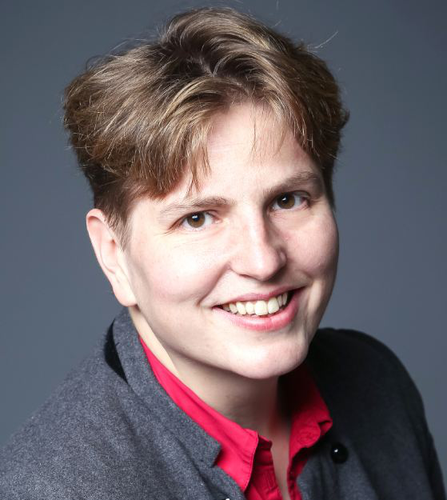 Dr. Nicole Hoffmeister-Kraut was born in 1972 in Balingen. She studied business administration at the University of Tübingen and in 1998 completed her degree with the qualification Graduate in Business Administration. In 2001 she received her PhD from the University of Würzburg. The economics graduate began her time in London at the investment bank Morgan Stanley; after this, she worked as an analyst at Ernst & Young in London and Frankfurt. Dr. Nicole Hoffmeister-Kraut has been a shareholder of Bizerba GmbH & Co. KG where she was a member of the supervisory board until her inauguration as minister. Since May 2016 she has had a seat in the state parliament of Baden-Württemberg – having been elected by direct mandate by the constituency of Balingen. On 12 May 2016, Dr. Nicole Hoffmeister-Kraut was appointed Minister of Economic Affairs, Labour and Housing for the state of Baden-Württemberg. Tugrul U Daim is a Professor and the Director of the Technology Management Doctoral Program in the Maseeh College of Engineering and Computer Science at Portland State University. He is also the Director of the Research Group on Infrastructure and Technology Management. He is a Faculty Fellow at the Institute for Sustainable Solutions. US Department of Energy, National Science Foundation, National Cooperative Highway Research Program, and many other regional, national and international organizations have funded his research. He has published over 200 refereed papers in journals and conference proceedings. He edited more than 20 special issues in journals. He edited more than 20 books and conference proceedings. He was the adviser for 11 PhD graduates who are now in leading positions in government, industry and academia. He is the Editor-in-Chief of IEEE Transactions on Engineering Management and he has been at various editorial roles in journals. At Intel he managed product and technology development. 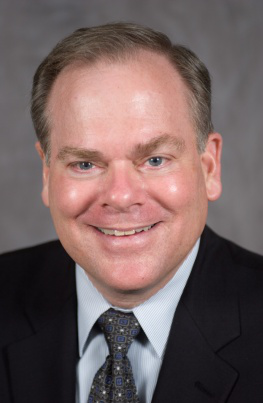 During his tenure at PSU, he has acted as a Strategic Consultant to the Chief Technology Innovation Officer of Bonneville Power Administration a part of US Department of Energy. He also consulted to many other international, national and regional organizations including Elsevier, Biotronik, Energy Trust of Oregon, Siemens, Mark and Spencer, Castrol and many others. He is also a visiting professor with the Northern Institute of Technology at Technical University of Hamburg, Harburg. He was given the Research Publication Award by the International Association of Management of Technology (IAMOT) and Fellow Award by the Portland International Center for Management of Engineering and Technology (PICMET). Dr. received his PhD in Systems Science: Engineering Management from Portland State University in Portland Oregon. Dr. Volker Nestle has an engineering background in precision- and microtechnologies and worked many years for Festo AG & Co. KG as a research engineer. In 2010 he received his doctoral degree at the European Business School in Oestrich-Winkel for his research about Open Innovation processes in technology clusters.Until the end of 2016, he was head of Research Future Technology at Festo and subsequently joined TRUMPF GmbH + Co. KG as head of Corporate Research up to the present. Since 2014, Dr. Nestle is also chairman of the board of Hahn- Schickard-Gesellschaft for applied research. Beyond his activities in technology scouting, his current fields of interest are about the implications of digitalization on the manufacturing trade and the subsequent transformation in the working environment. Jeff was the third employee of Atari’s International Home Computer Division, responsible for its business development throughout Europe and the Middle East. He joined former classmates as a founding team member of Electronic Arts in 1982. There he led the company’s international expansion from inception until its IPO seven years later. With the Internet and the dominating role of software development, he founded a series of software companies including License to Mail, Cardsmith, The Hive Group, and Just Arrive. 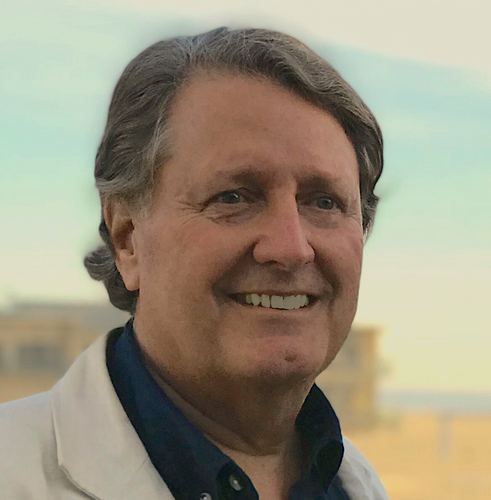 For its first 3 years he served as Executive Director at SkyDeck | Berkeley, the University’s only cross-discipline startup accelerator, and today he sits on Boards and is a partner in a venture fund focusing on European Startups. He co-founded HolodeckVR in Munich, and is actively involved in ICOs for companies in Europe. Jeff obtained his undergraduate education and MBA at Stanford University. Martin Kenney is a Distinguished Professor of Community and Regional Development at the University of California, Davis; a Senior Project Director at the Berkeley Roundtable on the International Economy; Senior Fellow at the Research Institute for the Finnish Economy, and in 2017 was an Affiliated Professor at the Instituto di Management at Scuola Superiore Sant’Anna. He as the Arthur Andersen Distinguished Visitor at the University of Cambridge. He has been a visiting scholar at the Copenhagen Business School, Hitotsubashi, Kobe, Stanford, Tokyo Universities, and UC San Diego. He co-authored or edited seven books and 160 scholarly articles. More important ones to mention are Biotechnology: The University-Industrial Complex, Public Universities and Regional Growth and China’s Innovation Challenge. On Stanford University Press he edits the book series Innovation and Technological Change in the Global Economy. He is a receiving editor at the world’s premier innovation research journal, Research Policy and edits a Stanford University book series on innovation and technology. In 2015, he received the University of California Office of the President’s Award for Outstanding Faculty Leadership in Presidential Initiatives. He has published articles in the American Sociological Review, California Management Review, Economic Geography, Journal of Economic Geography, and Research Policy, among others. He has given over 500 talks at universities, government agencies, and corporations in Europe, Asia, and North and South America. 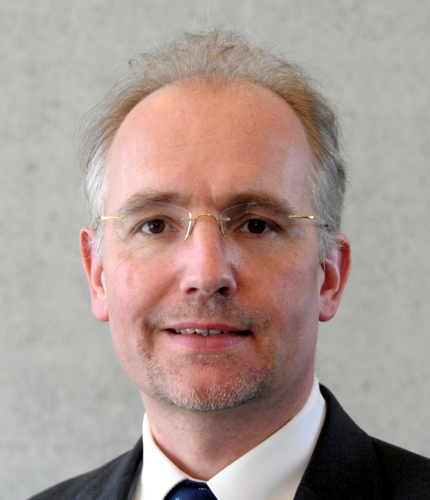 Dr. Reinhold Achatz is Chief Technology Officer (CTO) and Head of the Corporate Function Technology, Innovation and Sustainability at thyssenkrupp AG in Essen, Germany. In this position he is globally responsible to initiate and implement future oriented projects, to identify and leverage synergies between thyssenkrupp’s businesses. He holds a degree in Electrical Engineering from the Friedrich-Alexander University and a Ph.D. in Information Technology in Mechanical Engineering from the Technical University of Munich and was awarded an honorary advisory professorship from the Tsinghua University in Beijing, China. In 2016 he was elected as chairman of the Board of the Industrial Data Space Association (IDS). For four years he was consulting the Science Commissioner of the European Union as member of the European Research Area Board (ERAB) and for six years he was consulting the German Government as member of the German Council for Science and Humanities (WR). Before joining thyssenkrupp he worked for Siemens in a number of management positions including as Vice President and member of the Executive Committee of Siemens Energy and Automation in Atlanta. He has been honored as a “Siemens Top Innovator” for his outstanding innovations in software-based components for machine tools. Dr. Ikhlaq Sidhu, is a Chief Scientist, and Founding Director, Sutarja Center for Entrepreneurship & Technology, & IEOR Emerging Area Professor at UC Berkeley. Dr. Sidhu received his bachelor’s degree in Electrical and Computer Engineering from the University of Illinois and a doctorate in Electrical Engineering from Northwestern University. He is a world-class expert in “real-life” technology innovation and leadership. HE invented the technology used in Skype and other internet communications (over 60 patents). He is ademically trained, yet highly applied. He co-created the Berkeley Method of Entrepreneurship (for students) and the Berkeley Method of Innovation Leadership (for existing companies). Developed Data-X, a holistic framework for digital transformation. He is a member on many advisory boards. Marek Neumann is the Senior Director of Business Development within the Automated Driving Group at Intel Germany GmbH, delivering products for in-vehicle experiences, cabin electronics solutions and automated driving. He served the automotive industries in various positions over the past 25+ years building up experience in several facets of the automotive business covering software development, software quality assurance, hardware development, manufacturing technologies, systems engineering, controlling and program management. Working with customers in Europe, Asia and North America gave him insight into the richness of various cultures and the regional differences of customer requirements and customer perception of automotive products. Prior to joining Intel, Marek served as the Director of Program Management Europe and Vice President of Advanced Engineering of a major automotive Tier 1 supplier. Company founder and CEO Pascal Stiegelmann was born in Freiburg im Breisgau. After graduating high school in the USA, he studied economics at the Albert Ludwigs University in Freiburg. In 2016, Pascal interrupted his studies to focus on building Realworld one. His high technical interest came apparent when he was only twelve year’s old working in the experimental workshop of the family business IKA. IKA made it possible for him to gain insight into the technical worlds of the USA, China and India. Pascal has recognized the potential of virtual reality, augmented reality and artificial intelligence for industrial enterprises. As principal shareholder of IKA, he started working in the Virtual and Augmented Reality from 2015 onwards. 40 highly motivated, efficient and creative employees today form the powerful backbone of a startup company, whose services and products are valued by many companies. Realworld one deals with the use of virtual and augmented reality within the manufacturing industry, as well as at research institutes and universities. In the meantime, Realworld one is in close cooperation with well-known companies. Alf Henryk Wulf was born 1962 in Kiel. After studying electrical engineering at the Technical University of Munich and MBA at the Ecole de Management in Lyon, he joined Alcatel in 1991, where he was appointed to the Executive Board in 2003. In 2006, he was appointed Deputy Chairman of the Executive Board. From 2009, Alfred Henryk Wulf sat on the board of Alcatel-Lucent Deutschland AG until he took over the chairmanship of the board of ALSTOM Power AG in April 2012. From 2015 he is the Chairman of the Board of Power AG. Power AG is the world leader in the manufacture of products and in the construction of power generation and transmission systems and rail infrastructure. The company has employees in over 100 countries around the world on innovative smart grid solutions, building the world's fastest train, and providing turnkey power plant services for conventional power generation and gas, water, wind, and solar power generation. Wulf is also the Chairman of the Board of Baden-Württemberg: Connected e.V. Armin Pohl is a visionary and mentor in data-driven imaging. His passion is high-end 3D visualization. He stands for forward-looking trends and new visualization techniques. As CEO and co-owner of Mackevision Medien Design GmbH, which is based in Stuttgart, he has led the company to become one of the world's leading providers of Computer Generated Imagery (CGI). Since 2014, the Belgian investor GIMV has been on board as the majority owner in order to continue the ambitious growth course. Mackevision designs and produces image and film footage and interactive applications, develops imaging technology solutions, and manages the entire CGI process from data preparation to creative design to final product. Isidro had his first taste of entrepreneurship at university, where he created a junior enterprise. After graduating as an Engineer from the Universidad Politecnica de Madrid, he set up his on software business in the area of engineering working with sensors, actuators, Geographic Information Systems and design tools before becoming a strategic consultant to high-level executives (CEOs of large corporations), mainly in the telco and media sector. He then moved from entrepreneurship and strategy to research. This gave him the opportunity to create a new department within his company offering change management projects to customers. Subsequently he spent five months working for one of the Ministries in Spain before being seconded to the European Commission as a National Expert. Since becoming a Commission official in 2001 he has managed research projects and drafted research strategy objectives. From 2010 onwards he has been focused on creating a new endeavor within the EU institutions related to tech start-ups; the first output of this latest work is the "Startup Europe" initiative. Isidro has written several books and papers. Since 2015 he is continuing Fellow at Center for Science and Policy at University of Cambridge and he has been nominated thought leader at United Nations ITU. Isidro is member of several advisory boards to international networks of startups (EU - India, EU - Silicon Valley). Frank Melzer studied mechanical engineering at the University of Stuttgart, Brunel University (United Kingdom) and the University of Arizona (United States) with final qualification: PhD in dynamic flexible multibody systems. He worked as a Head of Advance Development, Deputy Director, Restructuring Consultant at Robert Bosch GmbH until 2004. From 2004 to 2012 he was appointed for CEO at Bosch Sensortec GmbH, Reutlingen. From 2012-2015 served as Senior Vice President of Driver Assistance, Robert Bosch GmbH. In 2015 he became President of Electronics at Autoliv Inc., Munich and Stockholm. Since 2017 he is Member of the Management Board as Director of Product and Technology Management at Festo Group. His recent work focuses on changing patterns of global competition, innovation, technology and the latest phase of the digital economy. At Berkeley he is co-organizer of the working group “Working, Earning, Learning in the Era of the Intelligent Machine”. Recent articles include: “The Next Phase in the Digital Revolution: Abundant Computing, Platforms, Growth, and Employment”; Intelligent Tools and Digital Platforms: Implications for Work and Employment"; The Rise of the Platform Economy; The Next Phase in the Digital Revolution (with Martin Kenney): Abundant Computing, Platforms, Growth, and Employment (With Martin Kenney); What Is the Future of Work? Understanding the Platform Economy and Computation-Intensive Automation (With Martin Kenney); “Winning Coalitions for Climate Policy”; Recent books include: The Third Globalization: Can Wealthy Countries Stay Rich? (with Dan Breznitz); Can Green Sustain Growth: From the Religion to the Reality of Sustainable Prosperity (with Mark Huberty). Dr. Stephen E. Cross is the Executive Vice President for Research of the Georgia Institute of Technology and a professor in industrial and systems engineering, interactive computing, and business. He has oversight of research and economic development initiatives conducted in Atlanta, Georgia (USA) and at its campus in Metz, France. Previously, he was at Carnegie Mellon University as the Director and CEO of the Software Engineering Institute. Dr. Cross serves on the executive committee of the Government-University-Industry Research Roundtable, an organization sponsored by the U.S. National Academies, and as the President-Elect of the Institute of Electrical and Electronic Engineers (IEEE) Technology and Engineering Management Society (TEMS). He has published widely on leadership, innovation, culture change, systems and software engineering, and technology transition. Dr. Cross is an IEEE Life Fellow and a former Editor-in-Chief of IEEE Intelligent Systems. He received his PhD from the University of Illinois at Urbana-Champaign. Klaus Bauer began his professional career as a development engineer at TRUMPF Werkzeugmaschinen GmbH + Co. KG, developing the basis for the efficient and highly flexible control and software architectures of the TRUMPF machine tools. For 10 years he headed the department "Human Machine Interaction". Together with his team, he created uniform touch-control and interaction concepts for all machine tools. Since 2009, Klaus Bauer has been responsible for the then newly created basic development area "Basic Technologies" with the aim of promoting and implementing the ideas of Industry 4.0 for TRUMPF and its partners. Axel Pannes is Head of Performance NEXT Sales of the BMW Group and Board Member of The Retail Performance Company (rpc). He has worked for the BMW Group in various positions for over 15 years. His previous position was Managing Director of BMW Group Asia, prior to which he was Vice President Retail Development, Vice President Sales Channel Development and Head of Wholesale and Retail Coaching. Axel Pannes studied business administration at the University of Mannheim. Julius Ruessmann works as an Associate with Earlybird Venture Capital in Munich. At Earlybird, Julius focuses on next generation of transportation and smart energy. Julius has gained experience in the Investment Banking industry as well as in the Private Equity Industry. Through his studies at EBS University and FGV São Paulo he focused on Finance, Strategy and Management and graduated with Bachelor degree. Jan Schemuth has served as the managing director and chief financial officer of The Retail Performance Company since January 1, 2015. He is responsible for new client accounts and markets, business development, and operative business management. Mr. Schemuth has extensive consulting experience and held numerous leadership positions at BMW before joining rpc. After training in the banking industry and completing a business degree at the Ludwig Maximilian University of Munich, he worked for the international management consulting company A.T. Kearney. He also founded and served as the head of the consulting division for the relationship management specialists Pepper Technologies. Mr. Schemuth has held various management roles since joining BMW in 2003, including that of sales manager for BMW M Asia, head of international market development, and head of new vehicle processes. His most recent responsibilities included heading retail performance steering for all international BMW markets. Sean Randolph is Senior Director of the Bay Area Council Economic Institute, where he served as President & CEO from 1998-2015. Dr. Randolph previously served as director of international trade for the State of California (1994-98), where he directed international programs to stimulate exports and introduce California companies to overseas markets. Before service with the state, he was Managing Director of the RSR Pacific Group, an international business consulting firm specializing in Asia and Latin America. His professional career includes extensive experience in the U.S. Government, on the U.S. Congress staff (1976-1980), and White House staff (1980-1981). Dr. Randolph holds a JD from the Georgetown University Law Center, a Ph.D. from the Fletcher School of Law and Diplomacy (Tufts and Harvard Universities), a B.S.F.S. from Georgetown’s School of Foreign Service, and studied at the London School of Economics. Dr. Gabriel Seiberth is Managing Director of Accenture Digital with a special focus on digitization within automotive industry. As author of numerous studies and a sought-after expert in the field of digital transformation he recently (April 2018), published a joined study with the BVDW about “Data-driven Business Models in Connected Cars, Mobility Services & Beyond”.